Even for Supergirl, time flies when you’re having fun. It’s impossible not to like Benoist. Sitting outside her trailer on the Warner Bros. lot in Burbank, California, while she plays with her dog, Farley, the newly blonded 27-year-old Littleton, Colorado, native is as effortlessly attractive as she is approachable. Her down-to-earth vibe is refreshing and a tad startling, given her high-profile gig on one of this season’s biggest gambles. 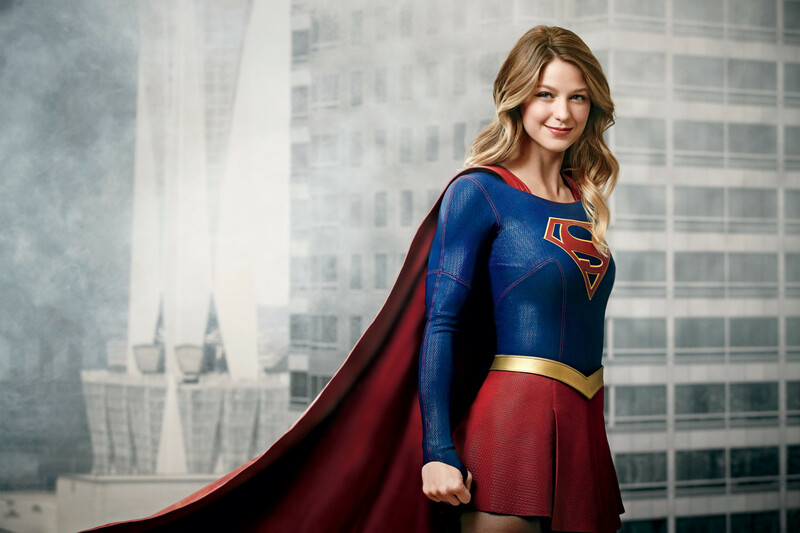 After all, Supergirl—which finally takes off on October 26—is the first comic book-based, female-driven superhero drama on television since The WB’s short-lived Birds of Prey in 2002; the character’s 1984 big-screen debut was a dud; and it’s not airing on The CW, home to DC Comics’ current TV crown jewels, Arrow and The Flash. Denying that his version of DC Comics' troublemaking millionaire Maxwell Lord is a villain Facinelli (with Flockhart) does ominously admit that the green-energy mogul "is very intrigued by Supergirl and what she's capable of doing." Instead, Kara blends in as the adopted daughter of the Danvers (in a fun nod to the mythos, they are played by big-screen Supergirl Helen Slater and Lois & Clark’s Dean Cain), a family of scientists in the fictional and very Los Angeles-like National City. With a protective adoptive sister, Alex (Chyler Leigh), and the kind of glasses that have been known to hide secret identities, the Kara we meet in the pilot has grown up to become a sweetly nerdy assistant to media maven Cat Grant (Calista Flockhart) with undeveloped powers and no clue that her CatCo colleague Winn (Jeremy Jordan) has it bad for her. Of course, even superheroes in denial can’t sit still when a plane carrying a loved one is about to go down, so before you can say, “It’s a bird…,” Kara takes to the friendly skies to rescue Alex. In the process, she attracts all sorts of attention—most notably from Hank Henshaw (David Harewood), head of the Department of Extra-Normal Operations, a shadowy government organization, and one James Olsen (Mehcad Brooks), who has been deployed from Metropolis by Supes himself to play Obi-Wan to the fledgling hero. What did matter, however, was finding an ingenue capable of convincingly rocking a caped ensemble designed by Oscar winner Colleen Atwood (who also created the looks Stephen Amell and Grant Gustin sport on Arrow and The Flash), battling an array of aliens-of-the-week unleashed by Kara’s arrival on Earth and balancing comedy, drama, action and adorableness. For that magic combo, the producers turned to the unsung hero of DC Comics’ growing TV dynasty, casting director David Rapaport. “We saw thousands of people, but I will say that all credit goes to David,” Schechter says of the man we have to thank for stocking The CW’s hero brigade. “He had a really good feeling about Melissa, just like he had a really good feeling about Stephen Amell and Grant Gustin.” And just like those two, Benoist—best known for her role as Glee’s sweet, shy Marley Rose—was the first to read for the role. “David actually made Melissa come back early from a trip and signed her in himself so she would be first because he knew that Greg is a little bit superstitious,” Schechter says.